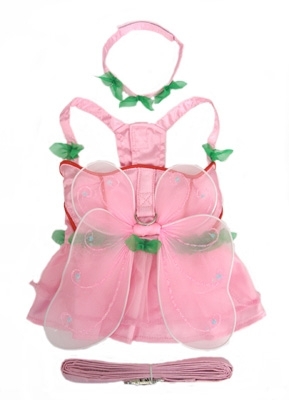 Check out our Very Feminine Pretty Pink Fairy Halloween Dog Costume. For those little Doggie's that like to dress up for Halloween and X-Mas. It features Velcro Closures in a Harness Style and D-Ring. Comes with Headpiece, wings and leash.